The Obama administration has proposed that NATO can protect the new borders of “PLO-Palestine”. 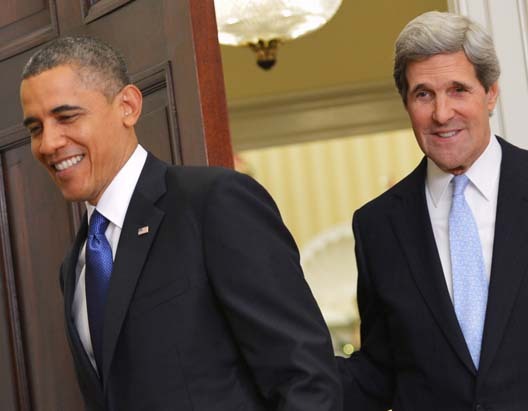 Obama and Kerry works for the destruction of Zionist Israel, and wants to use NATO as one of their their tools. U.S. Secretary of State John Kerry told The Washington Post over the weekend that Prime Minister Benjamin Netanyahu opposes Palestinian Authority President Mahmoud Abbas’ proposal to have NATO forces stationed in a future Palestinian state. Israeli government sources explained on Saturday that Netanyahu believes that only the Israel Defense Forces can protect Israel’s borders and that no foreign forces should be present in a Palestinian state, neither in the Jordan Valley nor elsewhere. When NATO was formed in 1949, the ideology behind the formation was to safeguard free Western Europe from the threat of being taken over by Communism. NATO did a great job. Today, a new and different NATO has appeared. The present Pro-Islamic management has turned NATO into a destructive force, that creates havoc deep into Asia. In North Africa and Persia, NATO has been used to enforce Sharia based Islam on semi-secular Iraq, Libya and possibly also in Syria. NATO did fail in Egypt, where a popular uprising rebuked Obama and John Kerry, and removed the American sponsored Muslim Brotherhood from office. The leadership in NATO now eye a chance to remove the Zionist governance from Israel, and put an Islamic PLO-regime in charge of Judea and Samaria in Israel. To be able to to achieve this, NATO needs to replace the IDF in the Jordan Valley, so that the Jihad movement can cross the border from Jordan into Israel. This plan must be rebuked. NATO is no longer a trustworthy partner for “peace”, but a toxic and corrupted agent for Islamic “regime change”. Keep Israel safe, by keeping NATO and the PLO out of the Jordan Valley. You have described perfectly what has been this administrations and others attempt at destroying Israel. I appreciate you providing news that matters during these perilous times spoken of in scriptures!